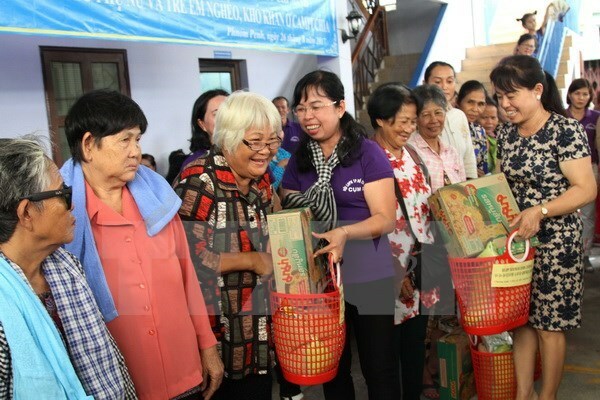 Phnom Penh (VNA) – The Women’s Union of Ho Chi Minh City on August 26 presented 140 gifts to poor Vietnamese and Cambodian women and children in Phnom Penh, Cambodia. The move aimed to strengthen solidarity between the city and Phnom Penh and between the two countries. Hoang Hoa, head of the Executive Board of the Vietnamese Women’s Association in Cambodia, thanked the Ho Chi Minh City union, adding that the presents will help ease the burdens on Vietnamese and Cambodian families.